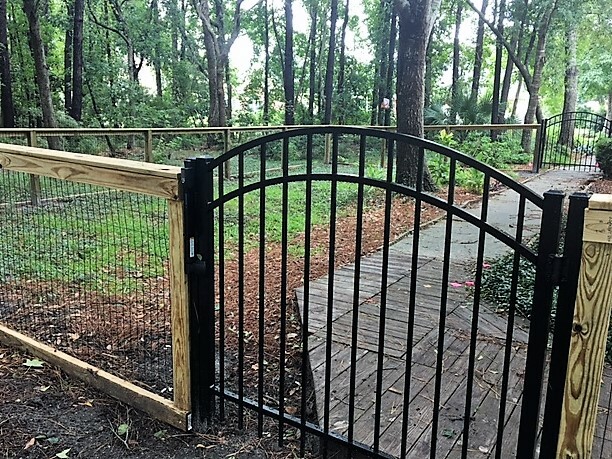 Located along side Charleston National Golf Course – this new home owner needed a fence that would keep her grandchildren and dogs contained as well as conform the the stringent Homeowner’s Association Guidelines/Golf Course. 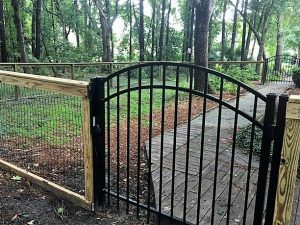 AAA Fence installed a 4′ tall living fence with 5′ wide arched aluminum gates. The gates are self closing and self latching with child proof locks…a perfect mix. Thinking outside the box…..making everyone happy.